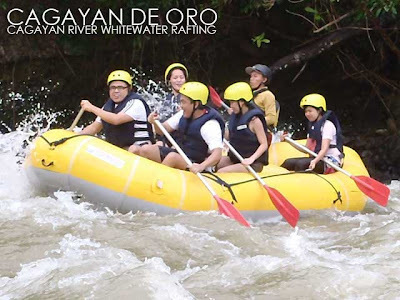 The good thing about the whitewater rafting trips in Cagayan de Oro is that you don't need to form a group to schedule one. All you have to do is book a trip at least a day in advance through your hotel or directly with any of the companies, and they'll pick you up from your hotel and drive you over to the Cagayan River. If you're just one or two, they'll group you with other guests, just like what we did. 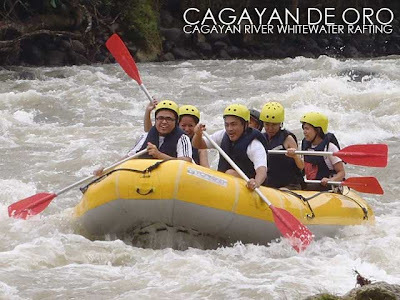 In fact, this experience is so convenient, you could actually take the first flight to Cagayan de Oro, go whitewater rafting, have lunch, then take the last flight out of Cagayan de Oro. It takes about 45 minutes to get to from downtown Cagayan de Oro to the jump-off point. Everyone is given a helmet, life jacket and paddle for the trip down the river. After a safety briefing by the crew, the group is off. I was quite surprised that there were really young kids in another group. I asked if there was an age limit. And I was told it's the discretion of the parents since they are the ones who sign the waivers. 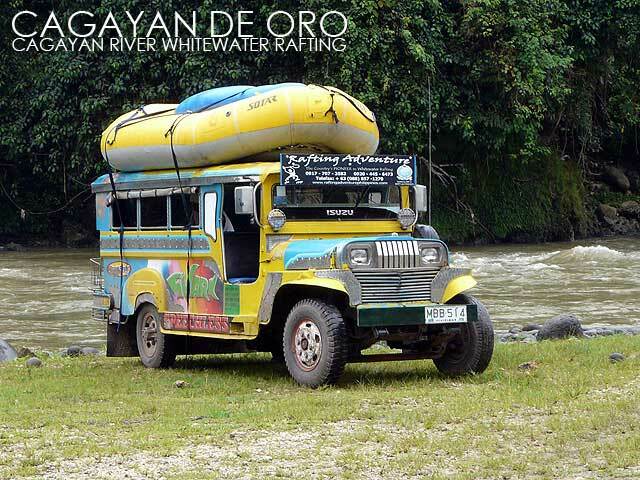 Dangerous as it may seem, whitewater rafting in Cagayan de Oro is quite safe. The three-hour trip takes you through a series of fourteen rapids for the regular course. 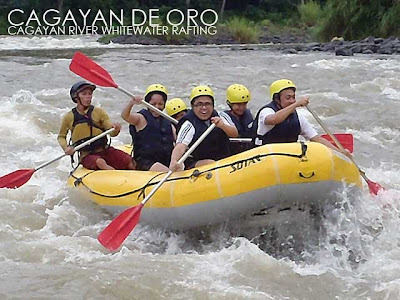 If your guide is a bit naughty, he'd purposely cause the rubber raft to capsize to add to the thrill. Good thing that didn't happen to us. In some of the rapids, our guide would ask us to stand which was really fun. In areas where the river is calm, we were allowed to get off the raft for a swim. For an extra fee, you can ask them to take photos and videos of your trip which we did. 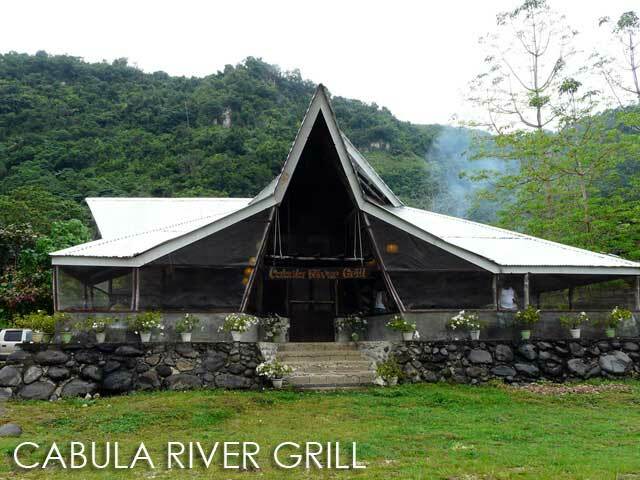 At the end point of the trip is a restaurant called the Cabula River Grill. Their best seller would be the Lechon Baka (Php180) which we made sure to try. After lunch, we proceeded back to CDO. In fact, I had time for a power nap before taking the last flight out. Never miss the whitewater rafting experience when in Cagayan de Oro. 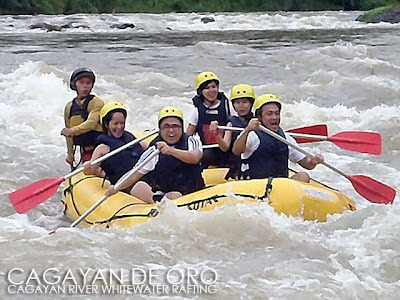 In fact, I'll try the advanced whitewater rafting course when I return to CDO. Thanks to Karlo de Leon for editing my videos from Cagayan de Oro. hi, ivan. i am charisse eusebio from bacolod city. 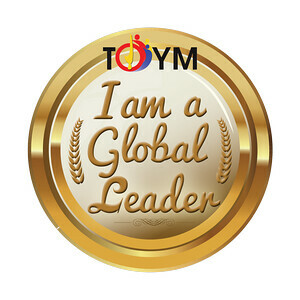 we will have a midyear conference this october in cagayan de oro and i need to present a slideshow. is it ok if i use one of your whitewater rafting pics? thank you and will appreciate a response. Good day! Wow ang ganda..Isasali ko to sa list na pupuntahan ko. :) Thanks! Ang ganda ng blog mo. I am really excited for the tour that my German partner proposed for us to have next year. 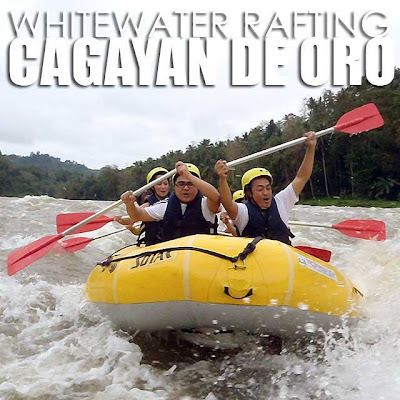 Yahhh I love adventures and the tour will even be adventurous with whitewater rafting in Cagayan de Oro. Seeyah there! hi ivan! i just read your cdo rafting post. Before the adventure, you might want to decide where you want to stay? 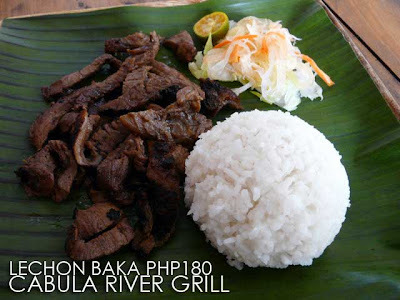 There are a lot of hotels here in Cagayan de Oro in which where you want to stay. The hotels here offers the best accommodations for their customers. Best regards! Ha ha! I had a similarly terrifying experience - the guides are insane! One threw me in river off a bamboo raft and thought it was hilarious. I didn't at the time, but great memories now! Taking a dip in portions of the river with calmer waters takes up some time and the guides encourage you to swim. The Expert Course takes up more time and energy. cagayan is the best place to go! i had fun in my vacation here.